Longer days are here... and the mountains are calling! Spring brings with it extra precious hours of daylight, and all of a sudden options are everywhere. Fancy tackling Striding Edge at dawn? How about hunting out wilderness in Wales? Finding the quiet, unspoiled summits of the Cairngorms? Or discovering a whole new world in Spain for less than the cost of a tank of diesel? Relax - Trail has got it covered. 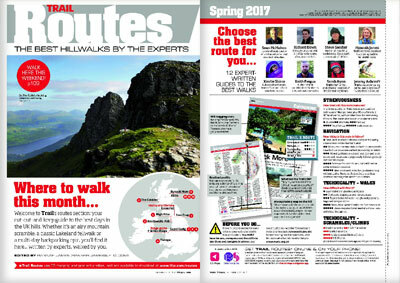 You'll find all these adventures and more inside the new Spring issue of Trail magazine - on sale 23.03.17! As the clock jumps forward this month, here's a scenic mountaintop adventure to celebrate the spring in style. Making new tracks in old territory can yield some of the most exciting adventures. Trail takes the road less travelled in the Cairngorms. When the weather closes in, Trail finds a perfect adventure to indulge your mountain obsession.